— The next U.S. commercial spacecraft to deliver cargo to the International Space Station will fly with the name of the late NASA astronaut who commanded the final, ill-fated mission of the space shuttle Columbia. 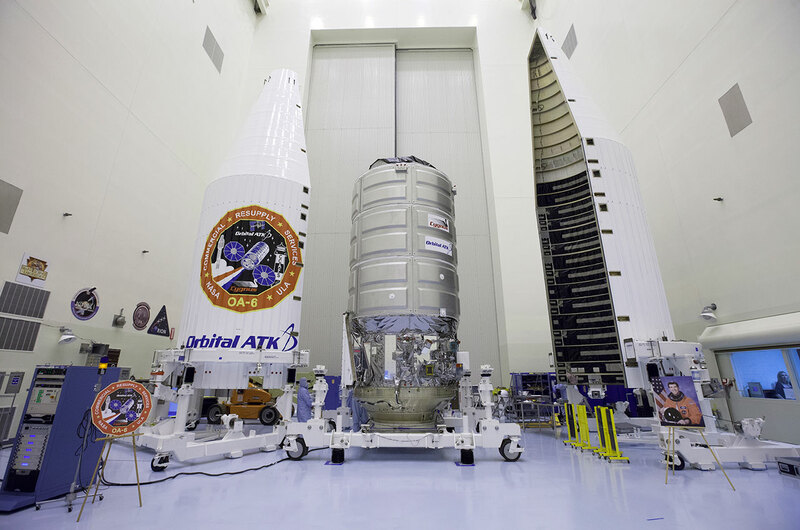 Orbital ATK on Tuesday (March 8) announced that its next Cygnus spaceship is christened the "S.S. Rick Husband." "We're proud to unveil the name of our Cygnus spacecraft — the S.S. Rick Husband, in honor of the late astronaut," the Dulles, Virginia-based company wrote on Twitter. The announcement coincided with a media tour at NASA's Kennedy Space Center in Florida, where the supply ship is being readied for its launch atop a United Launch Alliance Atlas V rocket on March 22. The Cygnus, which will arrive at the station three days later, will deliver about 7,700 lbs. (3,513 kg.) of crew supplies and hardware to support the orbiting outpost's Expedition 47 and 48 crews. The S.S. Rick Husband will also have on board Saffire, an experiment that will light a large-scale fire inside the spent, uncrewed Cygnus to study combustion in the microgravity environment. The first-of-its-type Saffire experiment will be conducted after the ship leaves the station, approximately two months after its arrival. 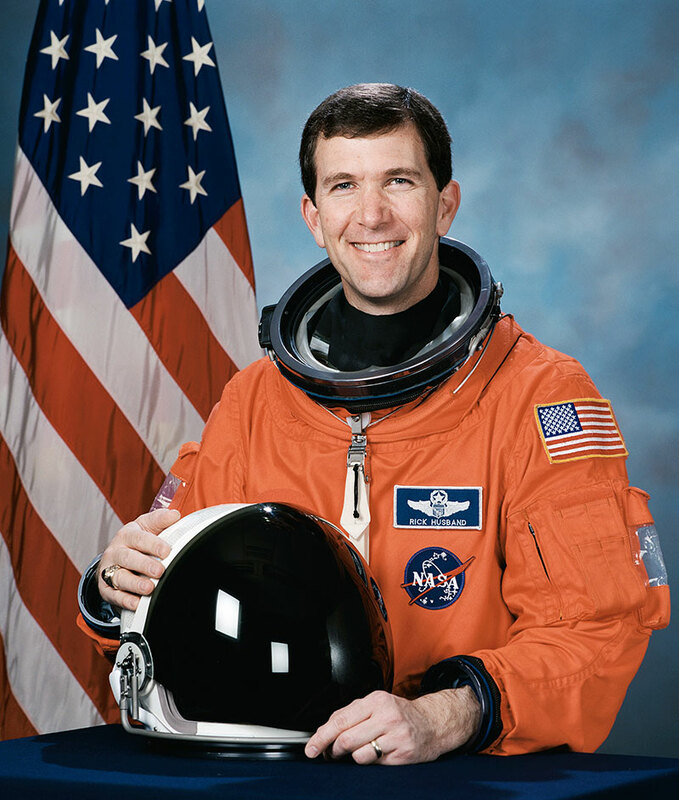 Selected as a NASA astronaut in 1994, Rick Husband died on Feb. 1, 2003 while serving as commander of the space shuttle Columbia. He and his six STS-107 crewmates were lost in flight when the orbiter — damaged during its launch 16 days earlier — broke apart upon re-entry to the Earth's atmosphere over the skies of Texas. "Rick was a very accomplished astronaut [and] a devoted husband and father," said Daniel Tani, the vice president of mission and cargo operations at Orbital ATK and a former NASA astronaut. "He was really a wonderful man." STS-107 was Husband's second launch into space. 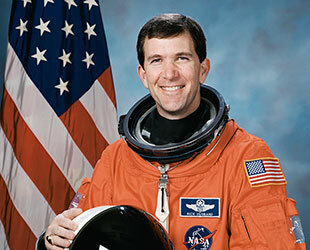 On his first, STS-96, in 1999, he flew as pilot of the space shuttle Discovery. "STS-96 was the first space shuttle to dock with the space station," explained Tani. "So Rick was the first pilot to ever dock a shuttle to the space station." Husband's commander on Discovery was Kent Rominger, who now serves as vice president of strategy and business development at Orbital ATK. "Orbital ATK is proud to add Rick's name to our legacy of cargo delivery to this outpost in space, and to honor the memory of this brave and dedicated crew," said company officials in a statement. 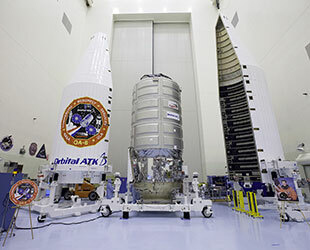 The S.S. Rick Husband is Orbital ATK's sixth Cygnus ship to be prepared for launch to the space station and the fifth that will fly under a commercial resupply services contract with NASA. This mission is the first one to be named after an astronaut who participated in building the space station. 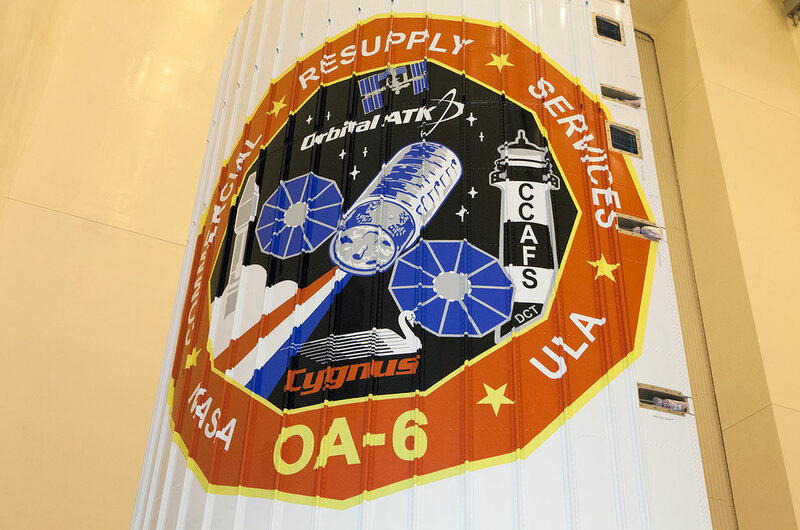 Since its first launch in 2013, Orbital ATK has christened its Cygnus spacecraft for late NASA astronauts who either worked for the company or made contributions to its goals and missions. Previous ships were named for astronauts G. David Low, C. Gordon Fullerton, Janice Voss and Deke Slayton. The most recent Cygnus, the "S.S. Deke Slayton II," was the second to fly under the name of the original Mercury 7 astronaut who went on to lead the first commercial space launch company. The first S.S. Deke Slayton was lost in a 2014 launch failure of Orbital ATK's Antares booster from NASA's Wallops Flight Facility. The next Cygnus to launch after the S.S. Rick Husband is set to mark the company's return to the Virginia spaceport and the return to flight for the Antares rocket. 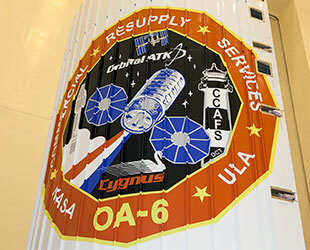 That mission, OA-5, is currently targeted for late May.